Q. What is the procedure for notifying a change in my residential/email address? The following applies only for Library External members updating personal information such as email and/or mailing address in the library system. For NUS Staff/Students, please visit this FAQ instead. The request forms to update your personal information are accessible via the Library portal. If you are already logged into the portal, the form should already be listed under My Services (or click on More) if you are eligible for service. 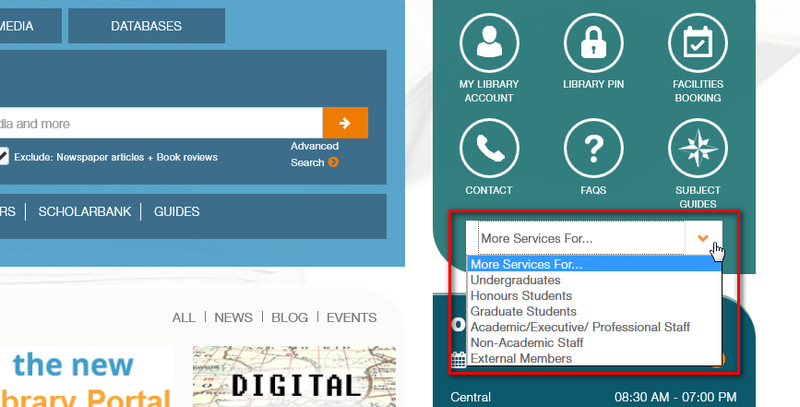 Go to the NUS Libraries Portal. 3. Go to Other Services and select Change mail/email address. 4. You will be usually prompted to login. 5. Fill in the form. When the form is submitted, your request will be submitted to the loans department for processing.